Dame Helen Mirren has admitted that she gets “queen-itis” when she finds herself in the presence of the Queen. The legendary actress, who played the royal in 2006″s film The Queen, was speaking to funnyman Jimmy Fallon on The Tonight Show. “When you meet the Queen, almost everyone gets it,” said Helen. “You get this thing I call “queen-itis,” which is like a terrible virus that suddenly hits you the minute you”re in front of the Queen. 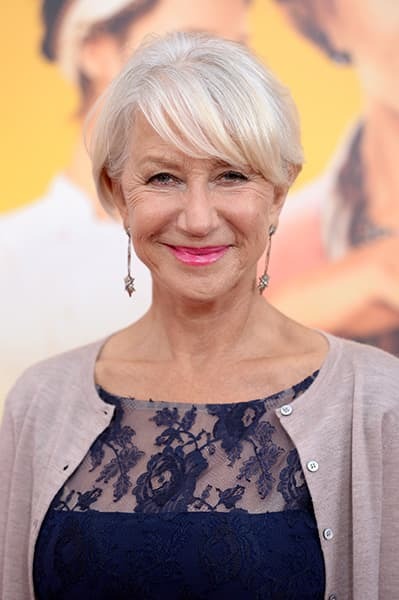 The Academy Award-winning star also indulged the American chat show host by taking part in his skit called Mirren, Mirren. Helen had the audience in fits of laughter as she answered Jimmy”s random questions, ranging from what her favourite film was to what she usually ordered at Subway. “My motto in life is you can never go wrong, by treating yourself to a nice footlong,” replied Helen to the latter, as she dressed in a regal costume. Helen, who most recently met the Queen and the Duchess of Cambridge, née Kate Middleton, at Buckingham Palace last February, insisted at the time that her royal roles – both on stage and on screen – don”t come up in conversation.